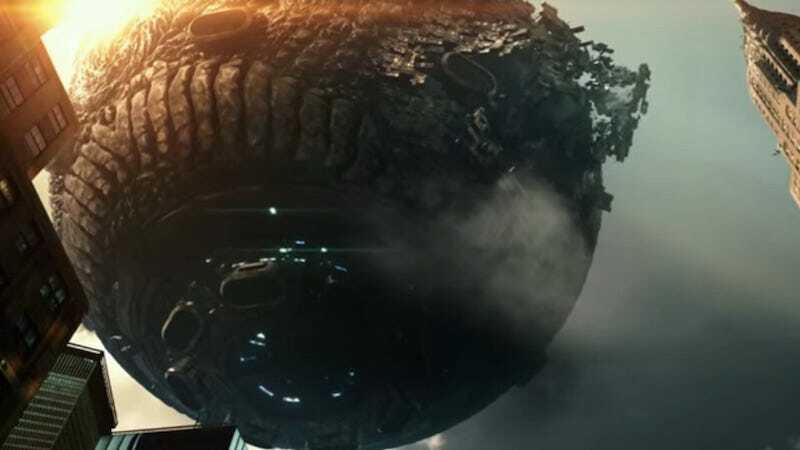 It may look like it’s made of the crazy “Tranformium” nonsense from Transformers: Age of Extinction, but that’s definitely Krang’s Technodrome making its debut in this new trailer for the sequel to 2014's live-action TMNT movie, Out of the Shadows. So no one’s going to accuse this thing of being a cinematic masterpiece, but I have a pretty serious question. This film includes Krang, Bebop, Rocksteady, a better Shredder, the Technodrome, and the Turtles’ ridiculous, sewer-lid-shooting Party Wagon van. Is... is it possible that this will be a good TMNT movie? If not, I have a follow-up: If the Turtles didn’t have nightmare eyes and unspeakably disturbing human teeth, and if the film didn’t find a way to sexually objectify Megan Fox, would this be a pretty good TMNT movie? I kind of think it might.